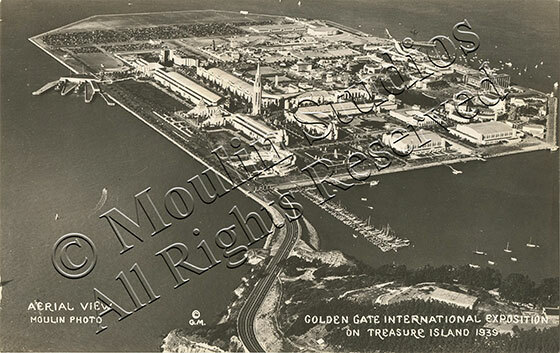 Three massive engineering projects were completed in San Francisco Bay in the late 1930s, at the height of the Great Depression. 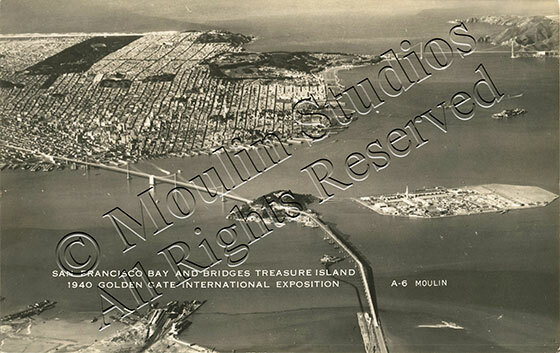 The San-Francisco Oakland Bay Bridge was dedicated on November 12, 1936, the Golden Gate Bridge was dedicated on May 27, 1937, and on August 26, 1937, dredging for Treasure Island, the site of the Golden Gate International Exposition, was completed. 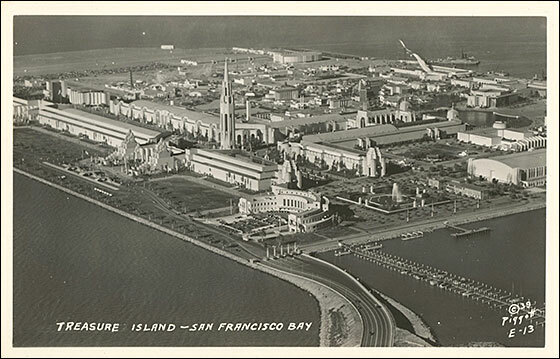 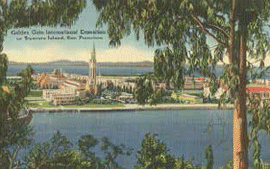 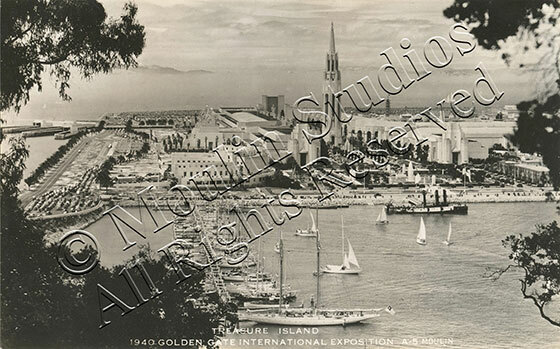 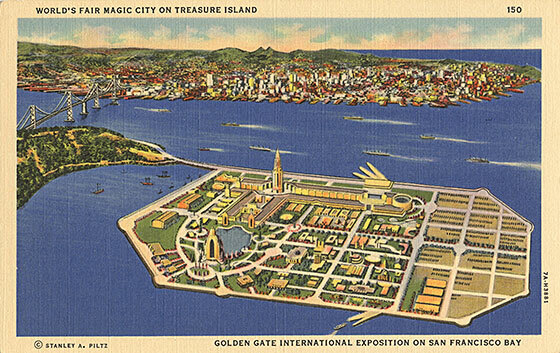 Treasure Island was initially slated to become San Francisco's airport. 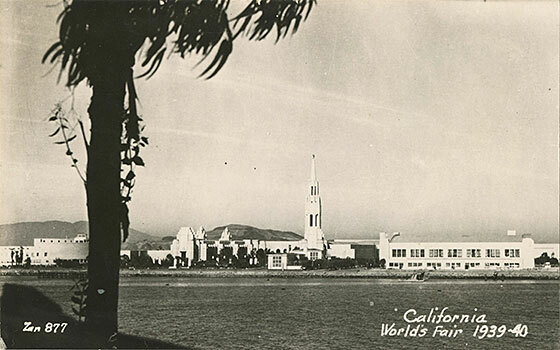 The semicircular Administration Building near the on-ramp and the two airplane hangars behind are the only three buildings that remain from the Golden Gate International Exposition today.